In the fourth industrial revolution (Industry 4.0), predictive maintenance is a key activity in any production process, as it enables you to know the real condition of machines and their progress over time, and therefore schedule maintenance tasks. Linking equipment deterioration to performance is turning predictive maintenance into a highly-efficient fault prevention strategy. One of the fundamental aspects of predictive maintenance is gathering the relevant data concerning the measurable physical variables (such as vibrations, temperature, and so on) that will inform about the machine condition progress. With this action, a maintenance plan can be devised, generating considerable financial savings for a company, avoiding abrupt and costly machine downtime, and ensuring uninterrupted production. 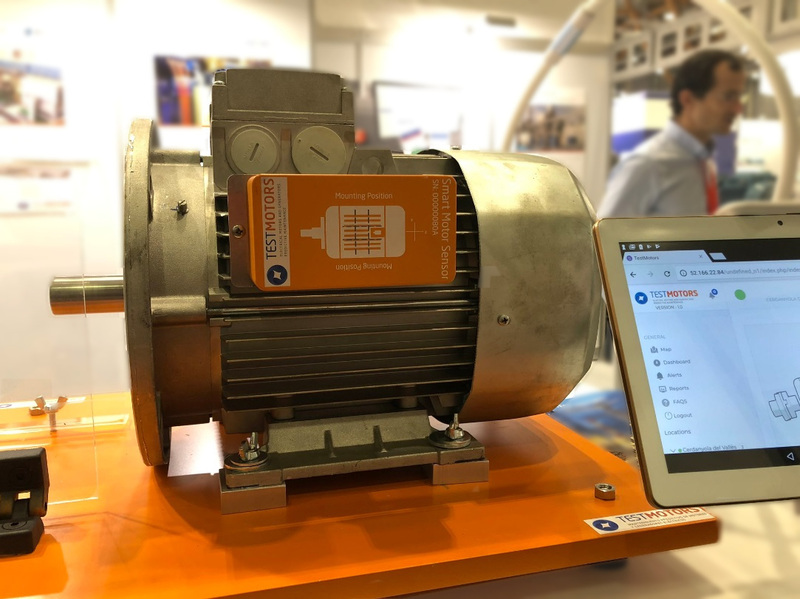 Through the SMS, Test Motors has applied artificial intelligence to low-voltage electric motors. This device regularly collects all the critical variables that reflect the real condition of your electric motor, for their analysis and in order to provide appropriate corrective action recommendations when an alteration is detected or a failure is developing. The Smart Motor Sensor helps you monitor all the motors in your production process easily and predict their faults at a very competitive cost. The SMS detects faults in squirrel-cage induction electric motors, manufactured following Standard IEC / EN 60.034. The motor can be driven directly to line (DOL), by frequency inverter (VFD), by soft or Star-Delta start. Once the sensor is installed, data is sent wirelessly to the Smart_Soft—the fault prediction expert software in the Test Motors Cloud. This software requires a learning process about the operation of the motor in order to predict its faults. This learning period can take around four weeks, depending on the operation of the motor. When the learning process is completed, all the data that is monitored by the sensor is available, in waveform, frequency spectrum and RMS values, on the Test Motors mobile or web application, also in graphic form. If any malfunction in the motor is detected, a notification message is sent to the customer.